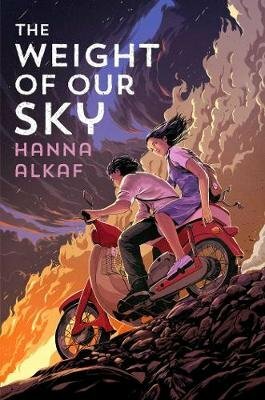 A music loving teen with OCD does everything she can to find her way back to her mother during the historic race riots in 1969 Kuala Lumpur, Malaysia, in this heart-pounding literary debut. Melati Ahmad looks like your typical movie-going, Beatles-obsessed sixteen-year-old. Unlike most other sixteen-year-olds though, Mel also believes that she harbors a djinn inside her, one who threatens her with horrific images of her mother's death unless she adheres to an elaborate ritual of counting and tapping to keep him satisfied. A trip to the movies after school turns into a nightmare when the city erupts into violent race riots between the Chinese and the Malay. When gangsters come into the theater and hold movie-goers hostage, Mel, a Malay, is saved by a Chinese woman, but has to leave her best friend behind to die. On their journey through town, Mel sees for herself the devastation caused by the riots. In her village, a neighbor tells her that her mother, a nurse, was called in to help with the many bodies piling up at the hospital. Mel must survive on her own, with the help of a few kind strangers, until she finds her mother. But the djinn in her mind threatens her ability to cope.